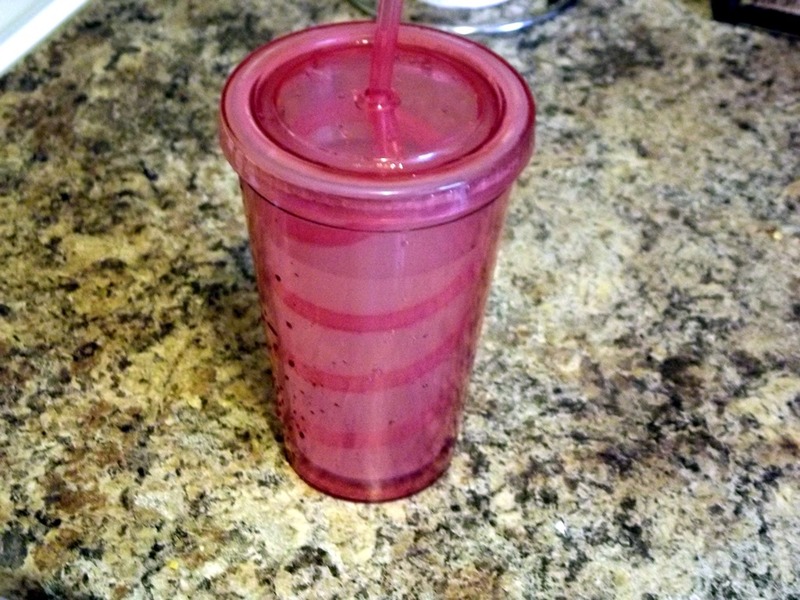 Thanks to the Diva herself for her fabulous weekly linkup! So, I had a quiet weekend. Lots of relaxing and hanging around with Eric – exactly what I was hoping for! Last weekend was busy and we’re back in London next weekend, so I was all too happy to keep this one quiet and (mostly) confined to our apartment. 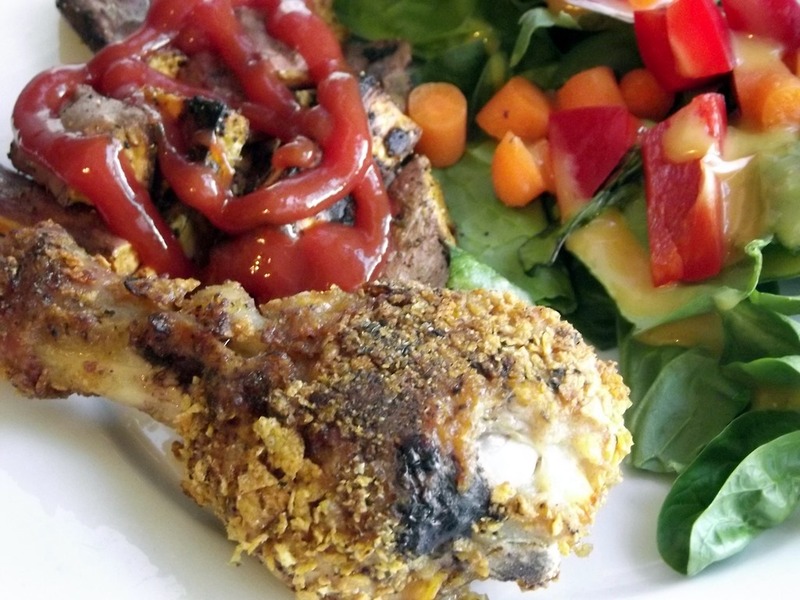 Friday night started off with a tasty dinner of homemade “fried” chicken (skinless chicken drumsticks breaded in cornflake crumbs), sweet potato fries, and salad. I found myself with a froyo craving and it was pretty nice out, so we took a walk down to Yogurty’s (A few days ago, Amanda was talking about those sorts of cravings where you’d run someone over that got between you and the desired food. Yea, it was one of THOSE cravings). 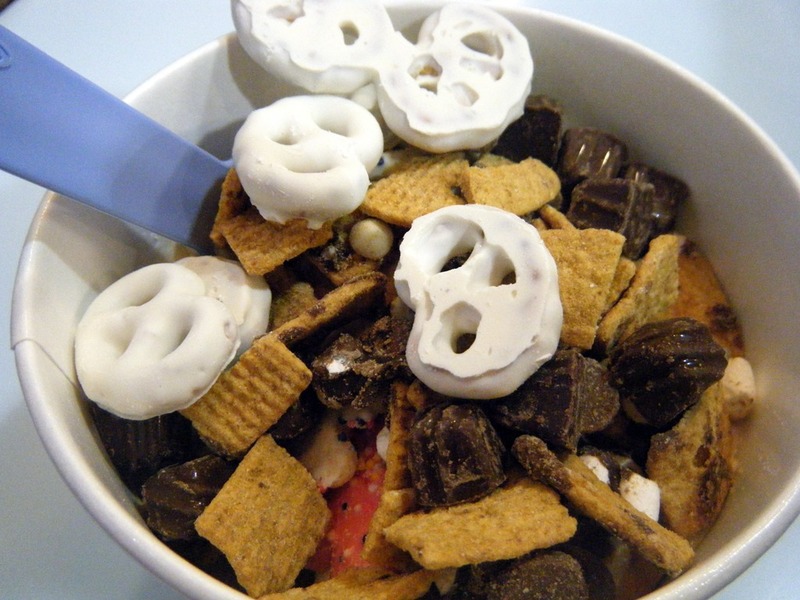 s’mores topping (!!!!) – definitely a new one, and of course I went a tad nuts with it. And then we managed to stumble across a random fair. Kind of surprising – I thought fairs were a fall thing? It made for a nice walk, anyways. Side note: how awkward is it to be a couple walking past all the carnival games when there isn’t a lot of people around? I’m pretty sure every single one of them tried to play off the “win the lady a prize!” thing. I’m pretty sure I could never do that job. That’s some intense sales pitches right there. Saturday was shopping…so much shopping. April-June is pretty crazy around here, birthday/holiday wise. In a time period of about 7 weeks, I have 4 birthdays to buy for, plus Mothers Day and Fathers Day. Insane. I usually don’t cook Saturday nights, so when Eric requested Harvey’s for dinner, I went with it. That would be a veggie burger with everything, onion rings and a diet Coke. Yup, I eat fast food sometimes. It’s obviously not something I would eat all the time (or even more than once every couple of months) but once in a while, it’s fine. 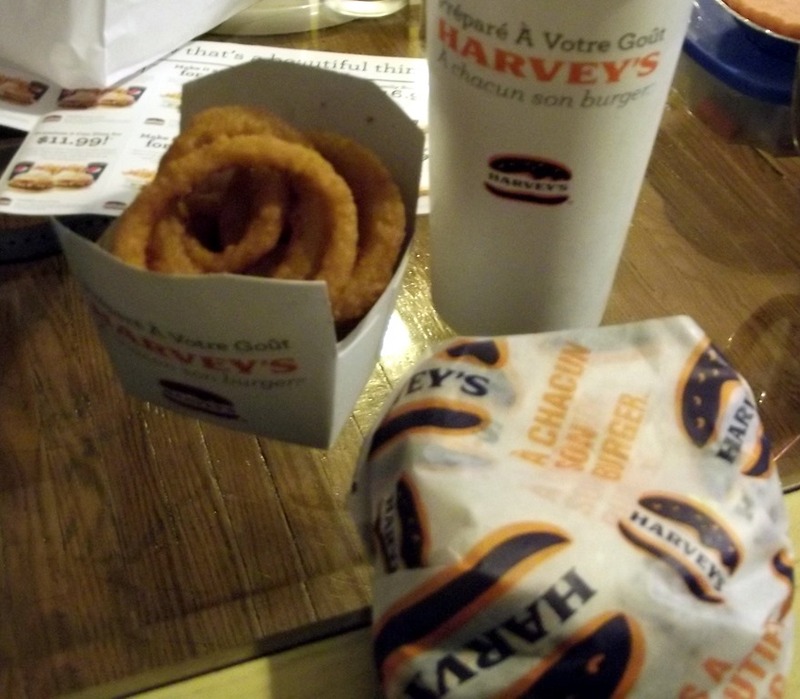 And Harvey’s actually does a pretty decent veggie burger, whole wheat bun and all. It used to be something I was absolutely terrified of and would not touch, but now I’m fine with it. 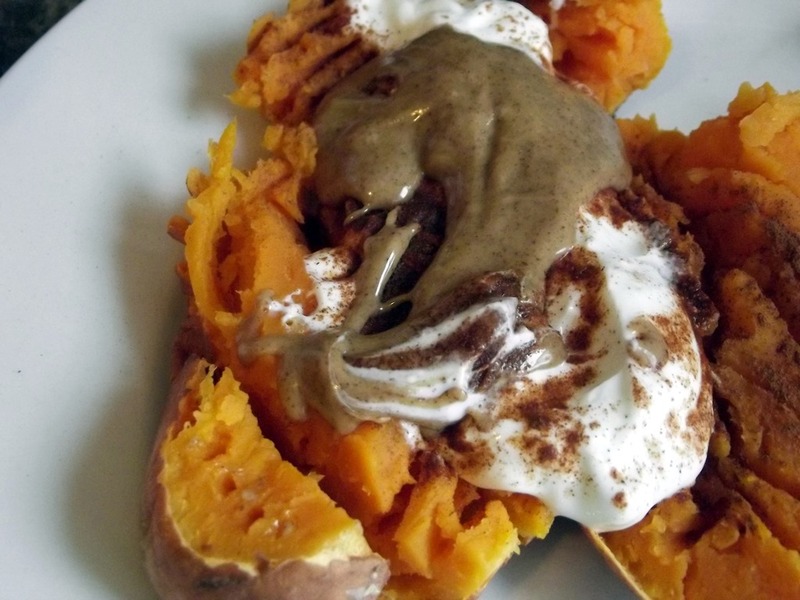 It’s interesting how healthy living bloggers are fine with decadent desserts and sweet potato fries once in a while, but fast food seems to be completely demonized. Just something I’ve noticed! So I was powering through those all afternoon. 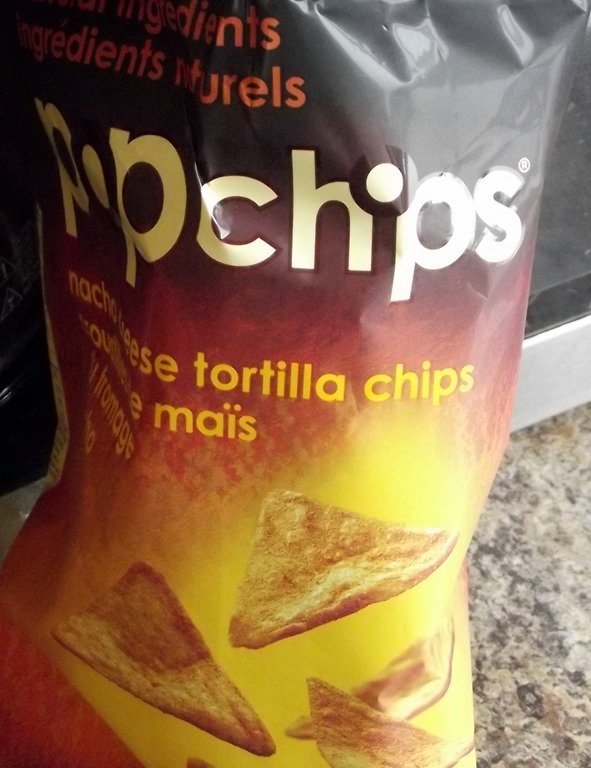 They are awesome – definitely reminded me of Nacho Cheese Doritos. Right down to the orange powder that gets everywhere afterwards. 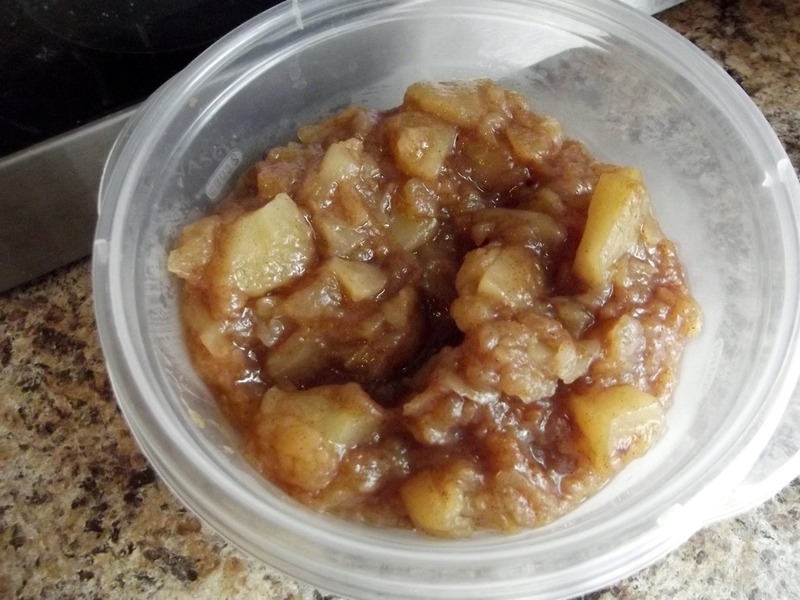 And some homemade applesauce. I swear, I will never buy commercial applesauce again. Just does.not.compare. 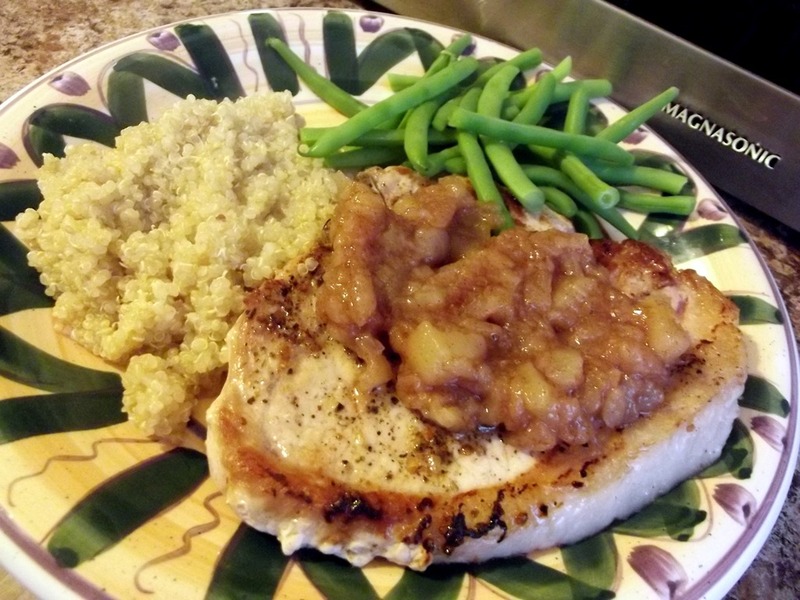 And I put that applesauce to good use for dinner – pork chops with applesauce, quinoa, and green beans. Yes, that pork chop is massive. And yes, I dominated it. So the weekend for me was basically: relaxing, reading, eating, shopping, and couple time. Absolutely what I needed – an easy weekend smushed in between two busy ones. Now I’m feeling charged and ready to go for the week ahead. Sometimes, you just really need a simple weekend at home! <— Do you have a certain couple of months that are just full of celebrations? Everyone in my family is born between April-June, and I’m over in October. Awkward. <— Fast food: once a week, once in a while, only in emergencies? <— What did you do this weekend? Best thing you ate? I’d say the froyo, of course. Categories: About Me, Brantford, Date night, Dessert, Dinner, MIMM, Products I Love, Shopping, Snacks | Tags: applesauce, birthdays, date night, demonization of fast food, dinner, fair, fast food, froyo, Harveys, MIMM, Nacho Cheese, Popchips, pork chops, relaxing, s'mores topping, shopping, simple, simple weekend, snacks, weekend, Yogurty's | Permalink. Good morning! Once again, we’re at the midpoint of the week. Which of course, means that it’s WIAW! 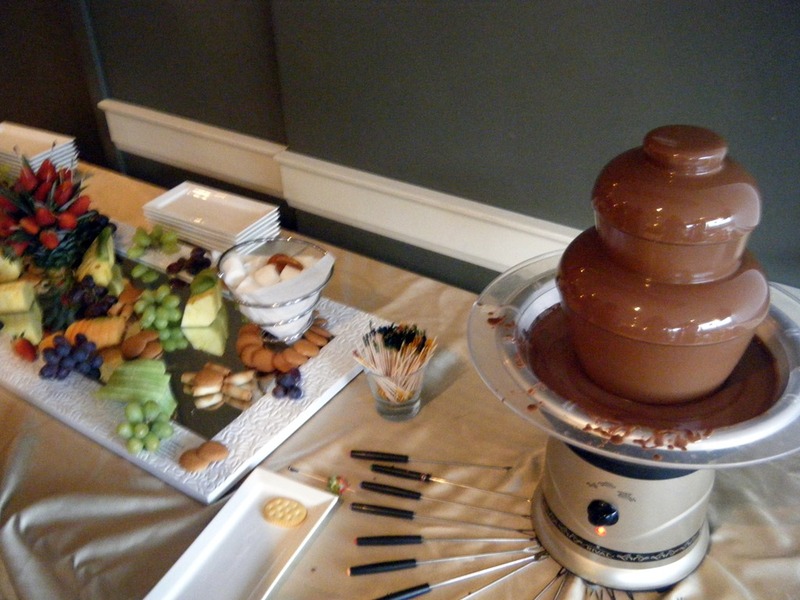 So, Saturday morning (the morning after my night out at the banquet) my stomach was not happy with me. I wasn’t hungover, per say…but my stomach was making it clear that going back and forth between wine and gin all night was not the best way to go about it. Ugh. Usually when you talk to people about hangovers, they will tell you their sworn cures for the nausea and the headaches. I’ve heard of the greasy diner breakfast – grease and carbs as the way to make you feel better. In Turkey, apparently the cure for a hangover is Kokorec: a streetcar dish made with lamb intestines. Italy? Coffee and fruit juice. Right when I woke up, the usual ACV mix. Of course, your body is going to be dehydrated after you toss back a few too many. This means: lots of liquids and water. I made sure to tote my water bottle around with me all day! 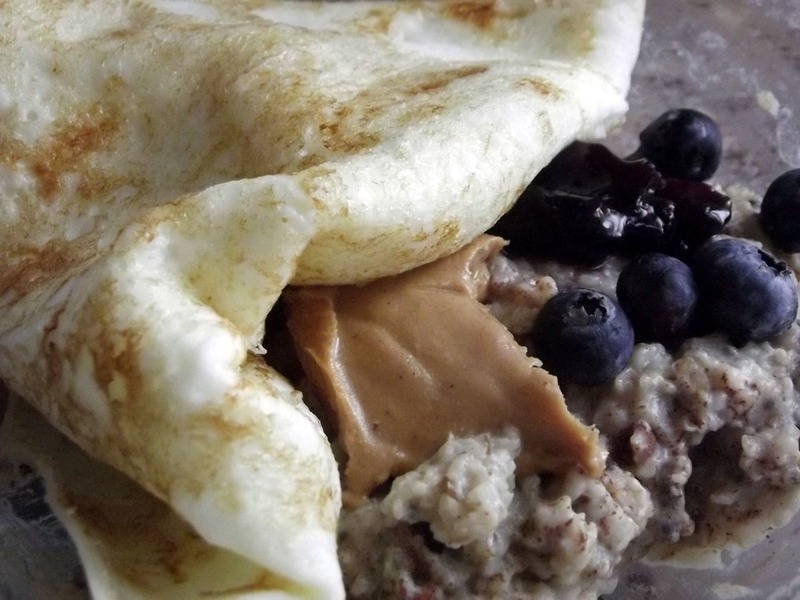 Oats with blueberries, blueberry jam, peanut butter, and a fried egg. All I want the morning after is carbs, so oatmeal or toast is my immediate go-to. I know a lot of people favour the greasy diner breakfast after a night out, which might not be a bad idea. Apparently, going for eggs is a smart move. When you drink too much, your body produces acetaldehyde – eggs contain a chemical found in your body’s natural defense to acetaldehyde, therefore cleaning up leftover toxins. So the morning after, eggs may be your best bet. I had to run errands that afternoon. 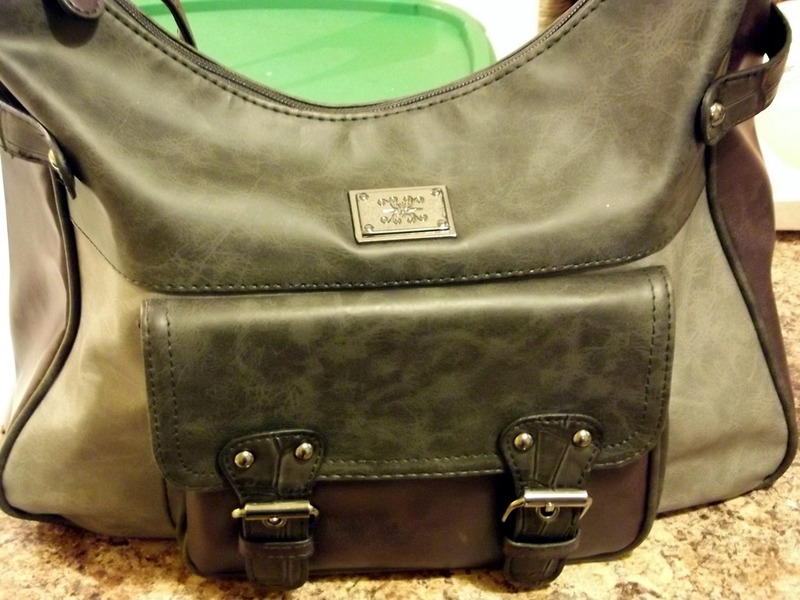 And by errands, I mean I needed a new purse. I’m picky, but I’m cheap, so it resulted in about 1 1/2 hours of walking around the mall. I am happy with what I picked out though! I find that walking definitely helps when I’ve got alcohol-related queasiness. I cannot handle anything too extreme though – no running or intense workouts. 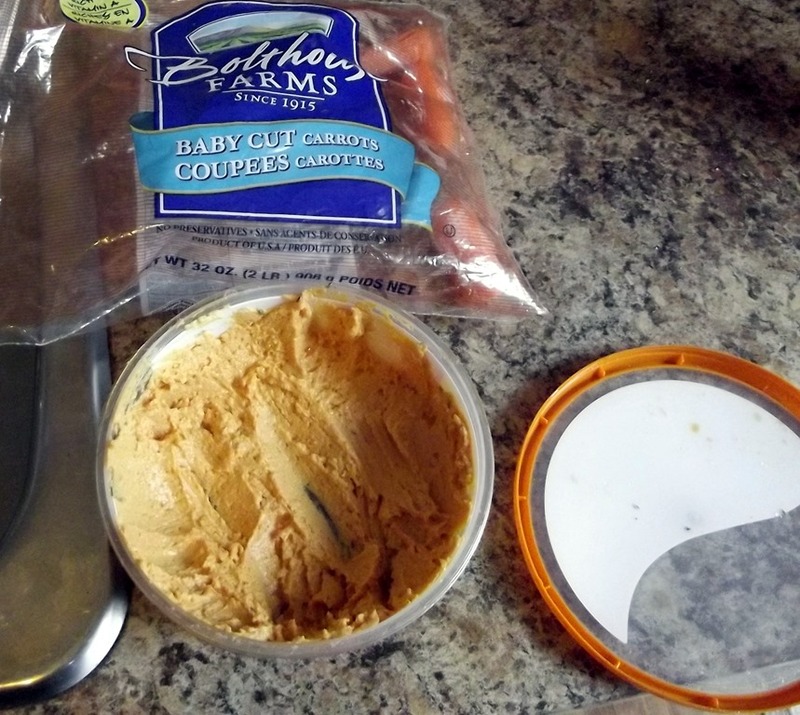 I was starving when I got home from grocery shopping, so I went for carrots and hummus while I put lunch together. carrots: for detoxifying vitamins and minerals. chickpeas and other beans: fibre, folic acid and protein. All aids in recovery. 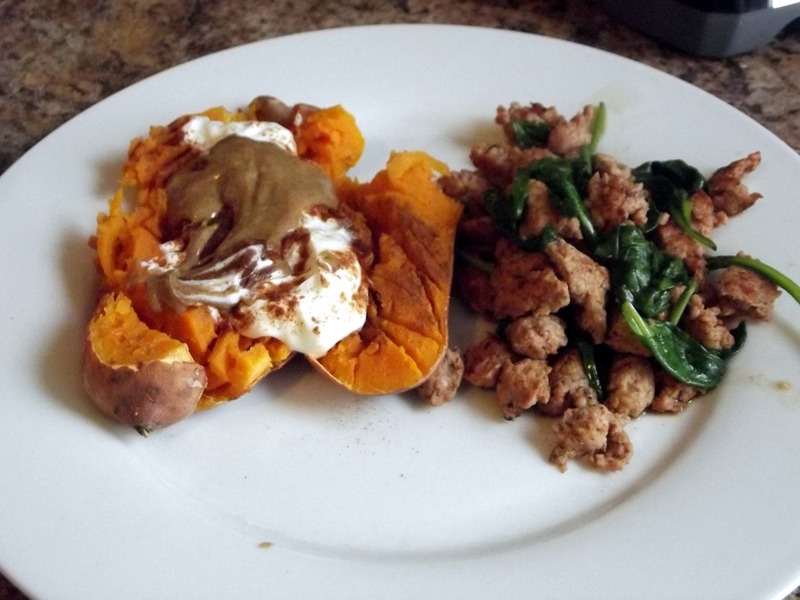 A sweet potato with cinnamon, Greek yogurt and almond butter, plus a crumbled turkey sausage and spinach in olive oil. mmm…more carbs. Apparently, dairy is a good choice before drinking, because it lines the stomach and slows the absorption of alcohol. The proteins in nuts make them a good choice to nibble one during the night – apparently, there’s a reason for the barrels of peanuts you see at some bars. 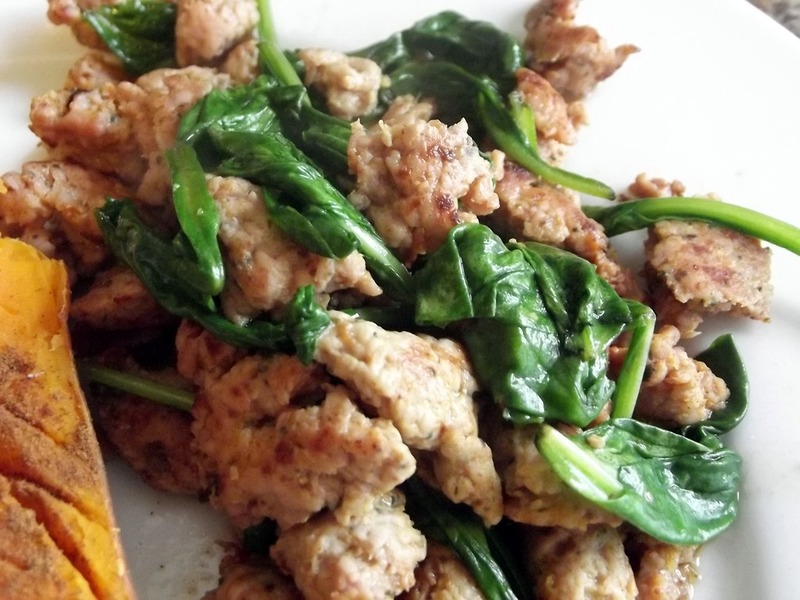 spinach – for help detoxifying the liver and reducing symptoms. I also sipped at a ginger kombucha throughout the afternoon. 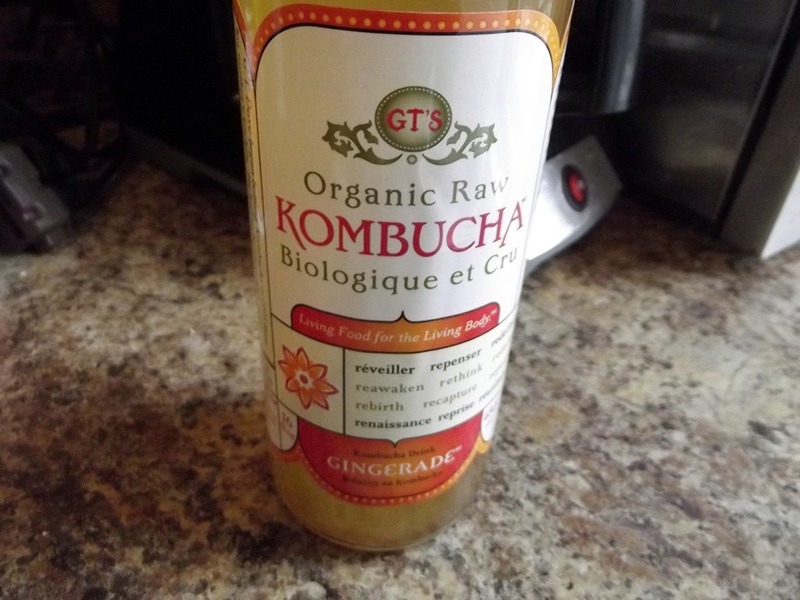 Too much drinking tends to make my digestive system pretty unhappy with me, so I picked up a kombucha to try to get it sorted out as quickly as possible. And ginger flavoured, because we all know that ginger helps with nausea. So, my personal hangover cure is sushi. I discovered it one evening last year, after a particularly harrowing night (it involved a certain ‘bomb’ that was on sale that night…not recommended). I basically laid on the couch and nibbled at crackers all day, feeling like crap. Then, my boyfriend’s mother offered to take Eric and myself out for sushi. I can never turn down sushi, so I picked myself up and went. So, Eric and I went to our usual place (Sushi 8) for dinner. 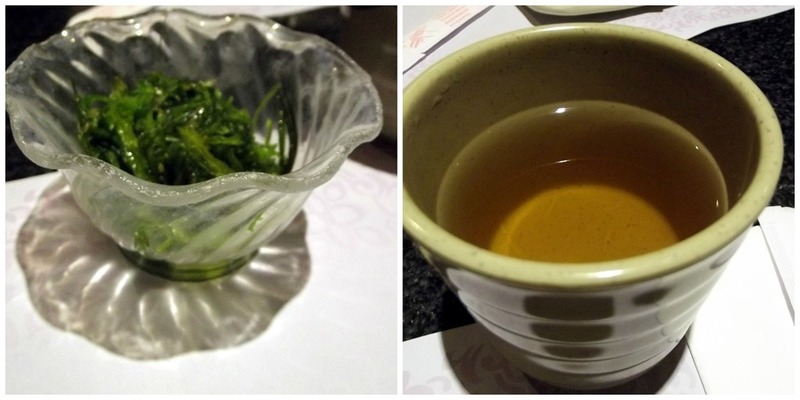 Seaweed salad and green tea to start, of course. Salmon and mackerel sashimi for me, and salmon sushi for Eric. 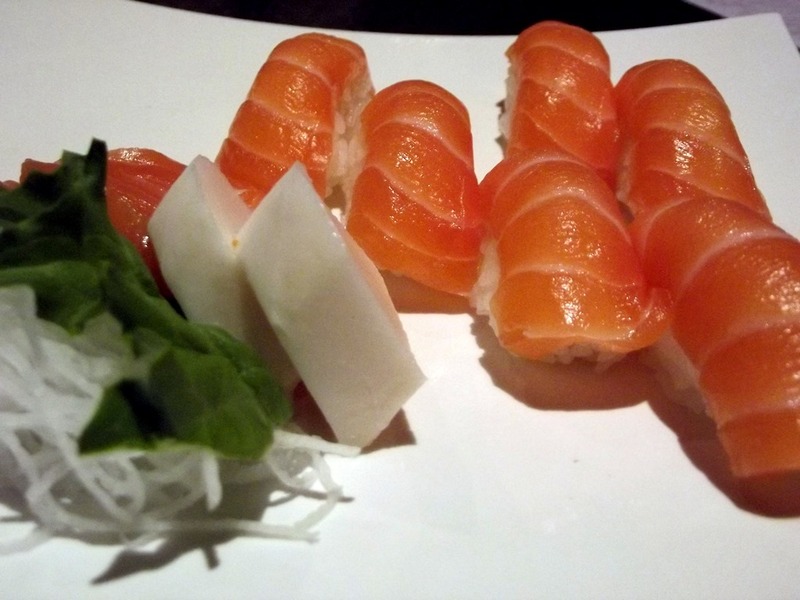 Something about foods with high fat content (like salmon) just make my stomach feel a lot more settled. 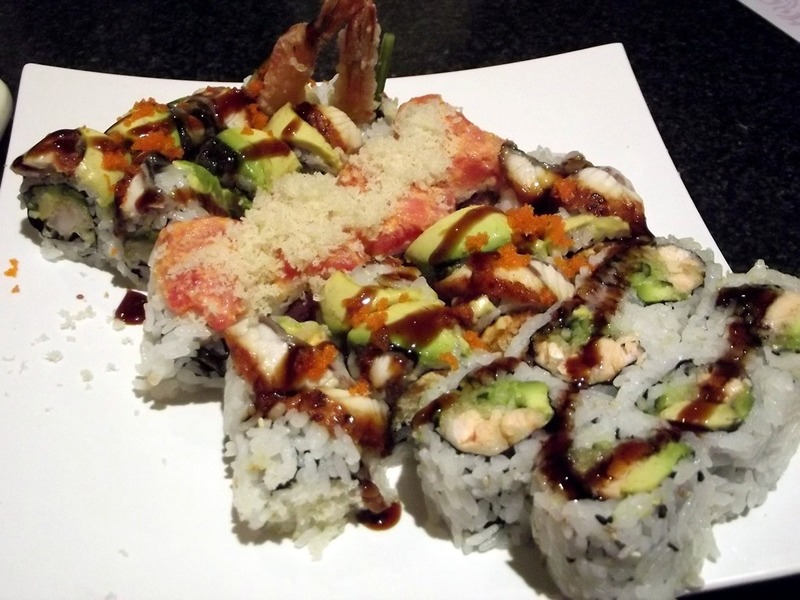 The far two rolls are Eric’s – a black dragon and a tempura salmon. The other two are mine: Eel special roll (spicy crab roll topped with eel, avocado and tobiko) and yoyogi roll (black peppered tuna and avocado with spicy tuna on top). I know a lot of fried foods will make me feel awful, but getting a little bit of crunch (in the eel roll) definitely helps. 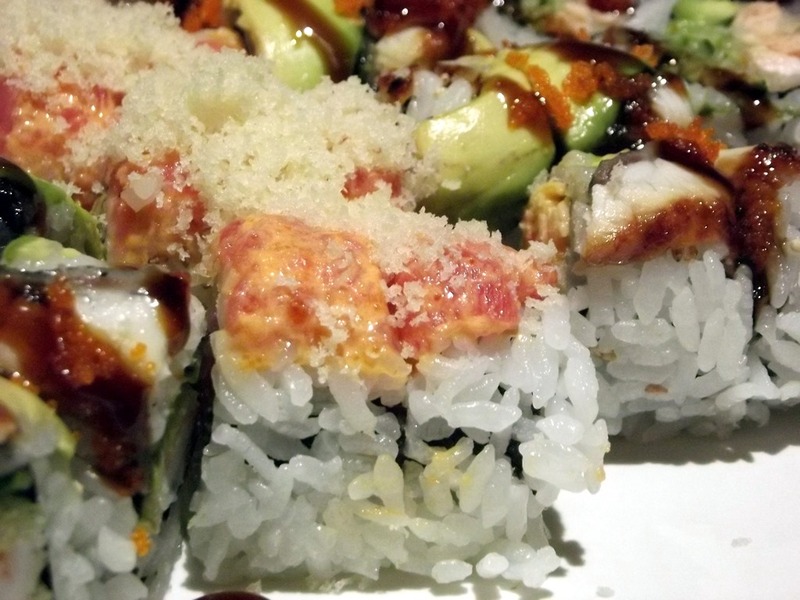 And apparently, wasabi is a fantastic hangover food. It stimulates blood circulation, which in turns helps remove headache-inducing toxins from the body. A chicken teriyaki roll that we split. 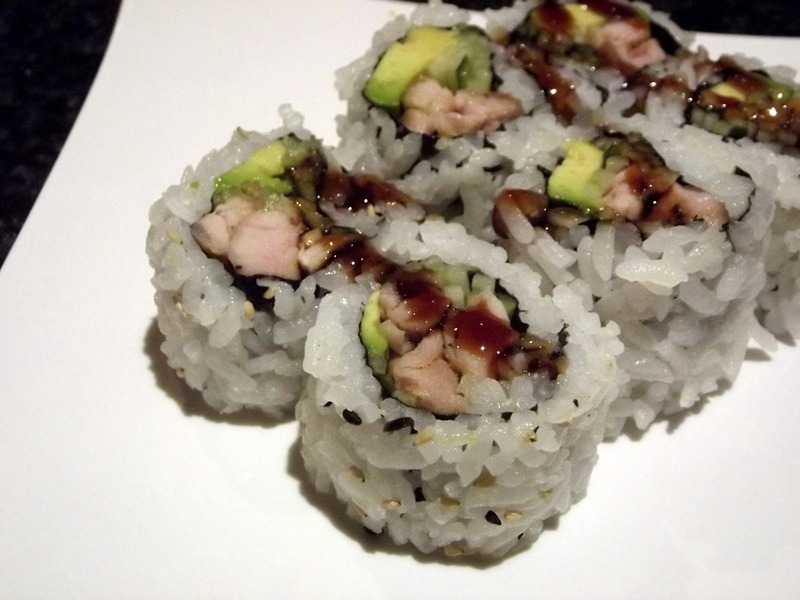 Chicken in sushi is a little weird, but I still like it. 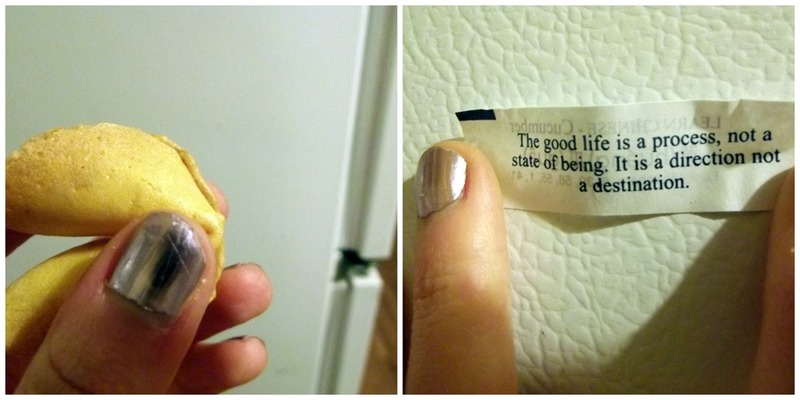 Sugar usually has no appeal when my stomach is feeling off, but I can always go for a fortune cookie. And of course, I felt fine by the end of the night. Gotta stick with what you know! <— Do you have an ‘I-imbibed-too-much’ cure? <— Could you drink pickle juice? I like pickles…but no. Could not do it. Categories: About Me, Breakfast, Date night, Dinner, Health, Lunch, Recap, Shopping, Snacks, WIAW | Tags: Breakfast, date night, eel, eggs, fats, fortune cookie, ginger, hangovers, kombucha, oats, pickle juice, purse, salmon, seaweed salad, shopping, sushi, Sushi 8, sweet potato, WIAW | Permalink. Of course, it’s time for the most positive linkup I know. Thank you to the wonderful Diva herself for hosting! 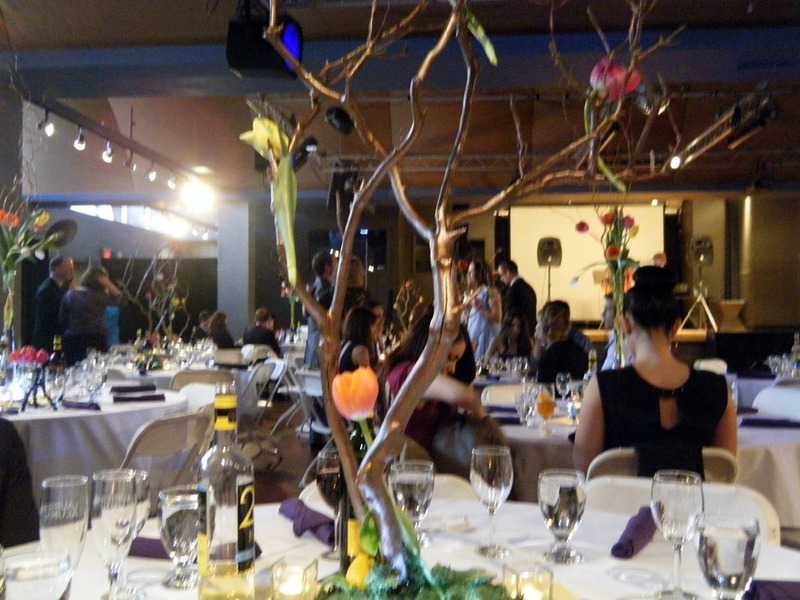 But for today’s #MIMM, I wanted to discuss my day last Friday, which included a visit from my best friend, a trip in a limo, a nice dinner, and a dance party. Pretty awesome. But first, this new-to-me breakfast I made Friday morning. I decided to try one of those ‘paleo’ pancake recipes out of sheer curiosity. So this was 2 eggs, a mashed banana, and a tablespoon of almond flour turned into a pancake, topped with peanut butter (see? 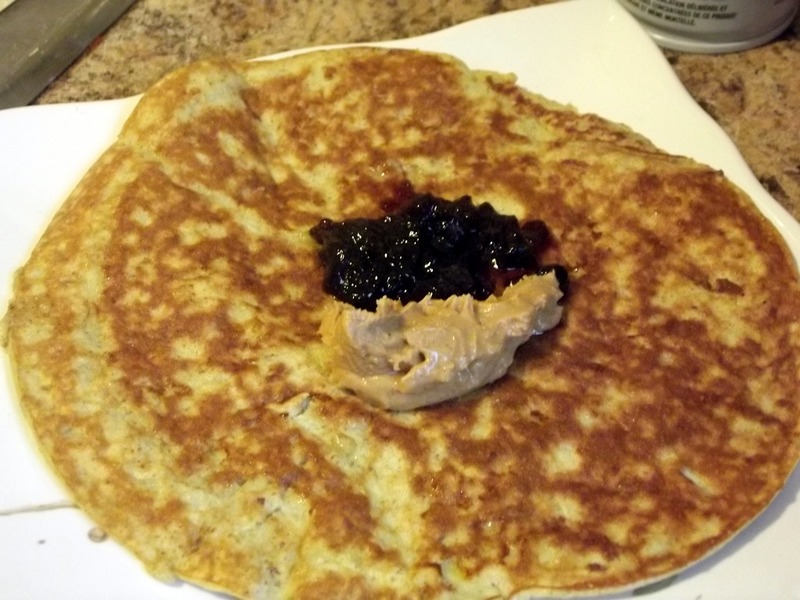 I couldn’t do paleo even if I wanted to) and blueberry jam. Eh. It was ok. It tasted really ‘eggy’ to me – probably not something I’ll be making again anytime soon. 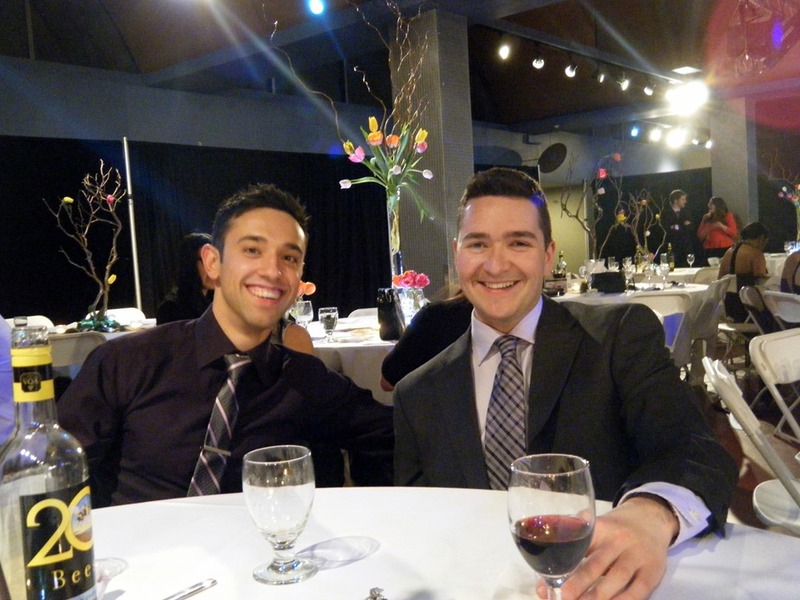 Friday night was the Graduate Students’ Association Year End Banquet, held at my university’s main campus in Waterloo, Ontario (I attend a satellite about 45 minutes away). 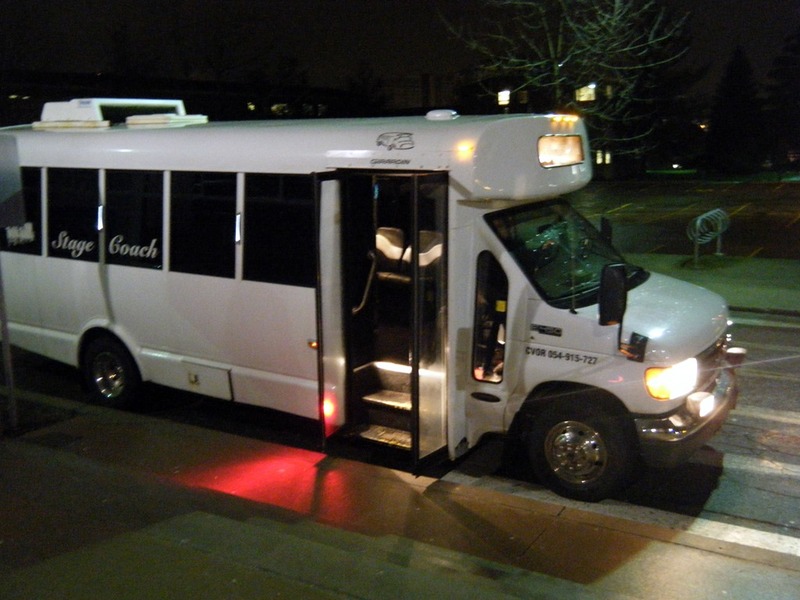 The GSA graciously offered to send a limo for those of us who wanted to attend, which was awesome. We got ourselves prettied up and headed downtown to meet the…limo? After the toast we made our way upstairs to the reception, where the theme was “tulips”. So cute for Spring! 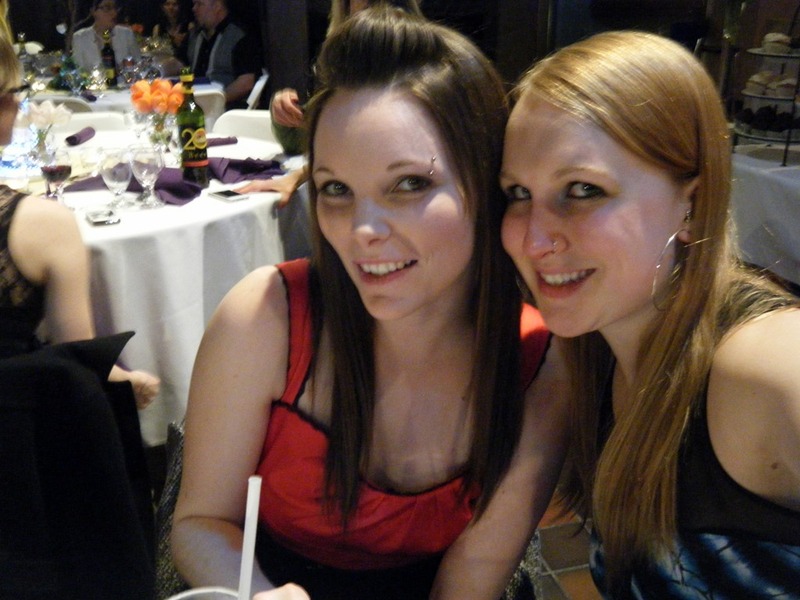 My lovely date and myself! Of course, we stopped at the bar. cocktail shrimp on a prettily-sliced cucumber. That is freakin’ cute. Some sort of chicken alfredo flatbread and a crab cake. Bruschetta. 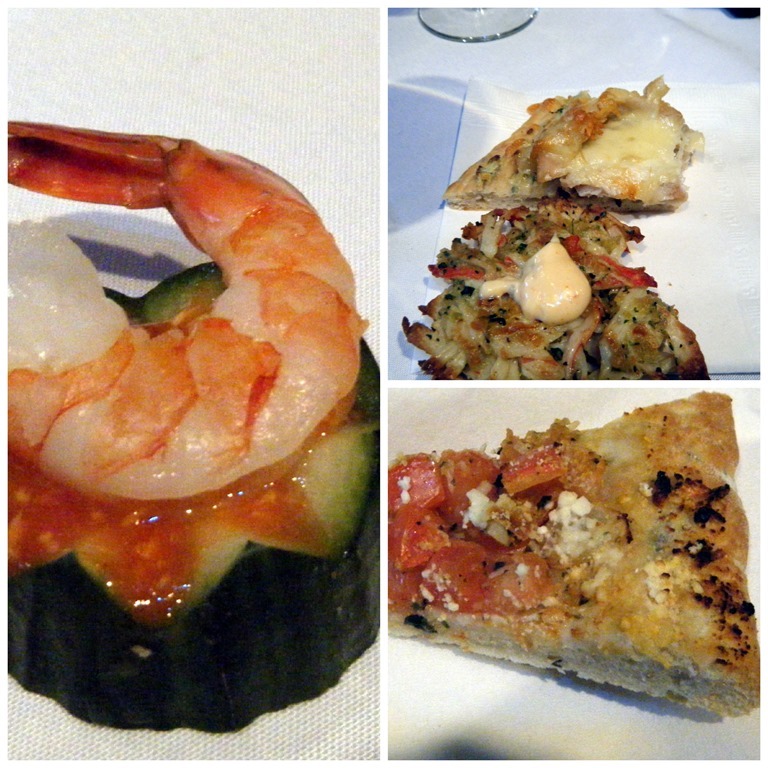 Forever, it will be my favourite bread-based appetizer. 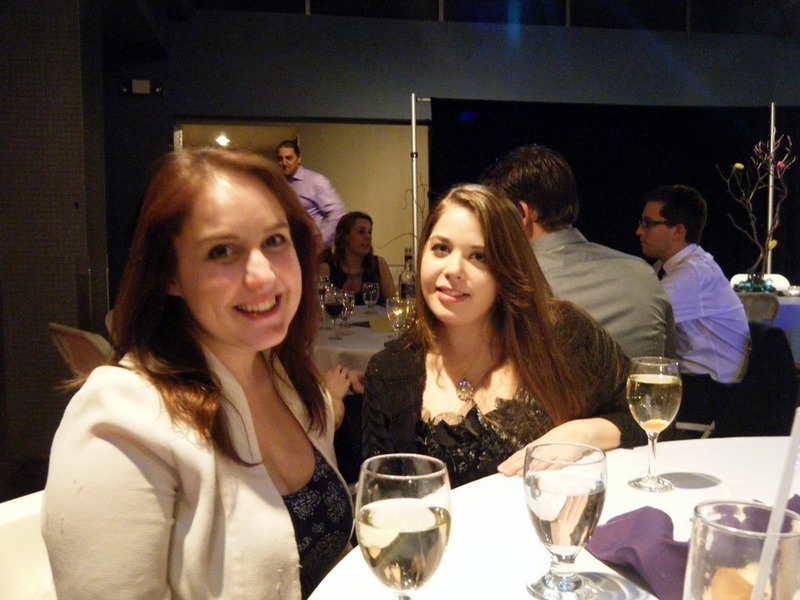 And of course, I enjoyed the company! Ok, going to sidetrack for a moment. 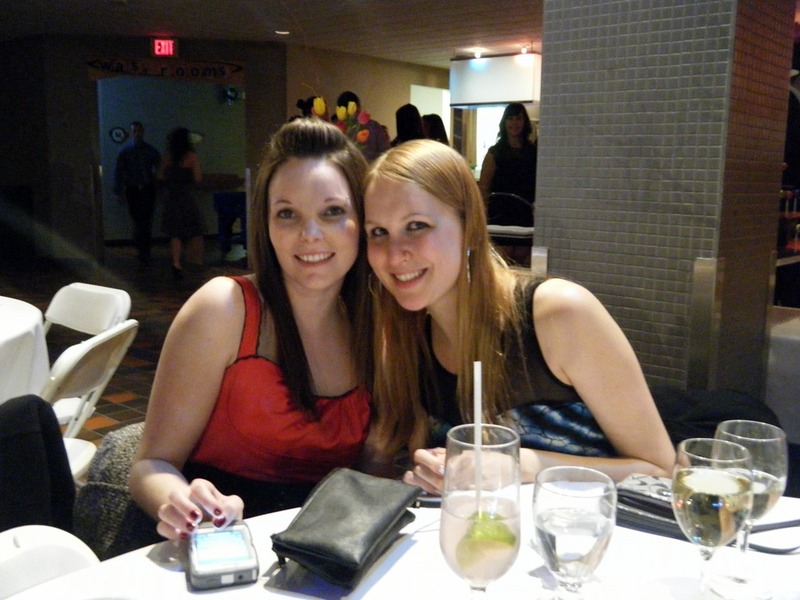 I was really freakin’ bright that night! My original plan was to stick to a simple black dress since my shoes were so attention-grabbing, but I decided to go big. Dinner time! We were asked ahead of time whether we wanted the chicken, the roast or the vegetarian option – I went with chicken. I asked for “one small extra scoop of veggies” and the server gave me a massive helping. Can’t go wrong with extra greens, right? 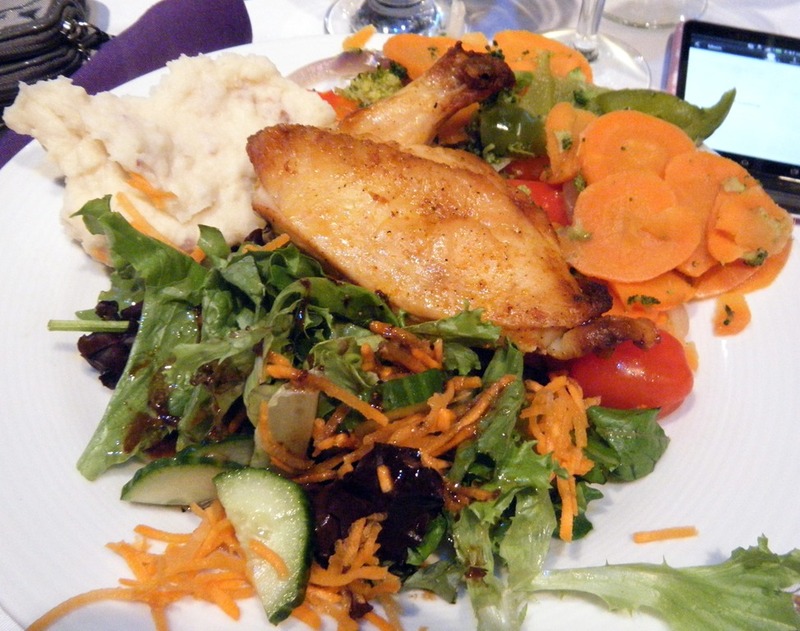 I was actually really happy with this meal – the chicken had a nice flavour, and the mashed potatoes were awesome. 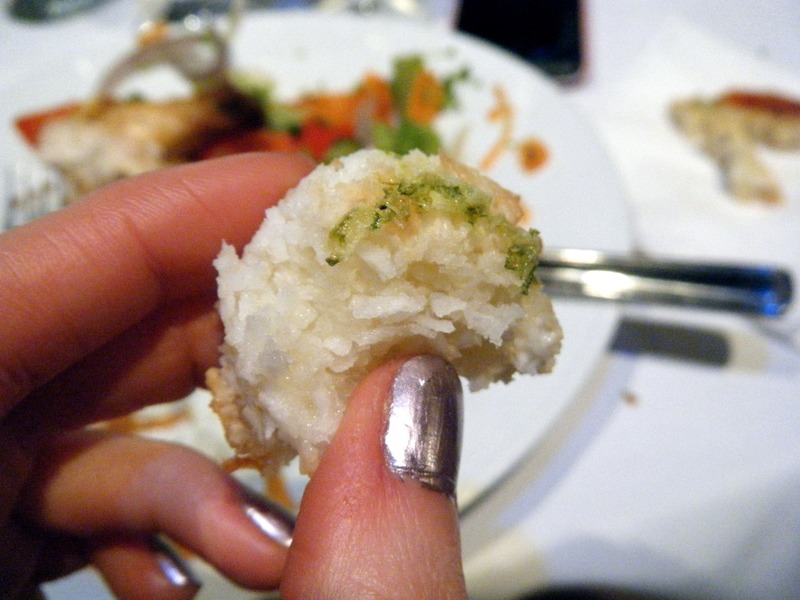 A macaroon with a bit of crushed mint on top. Umm, whoever came up with that idea is absolutely brilliant. So…this thing was shiny. And purple. 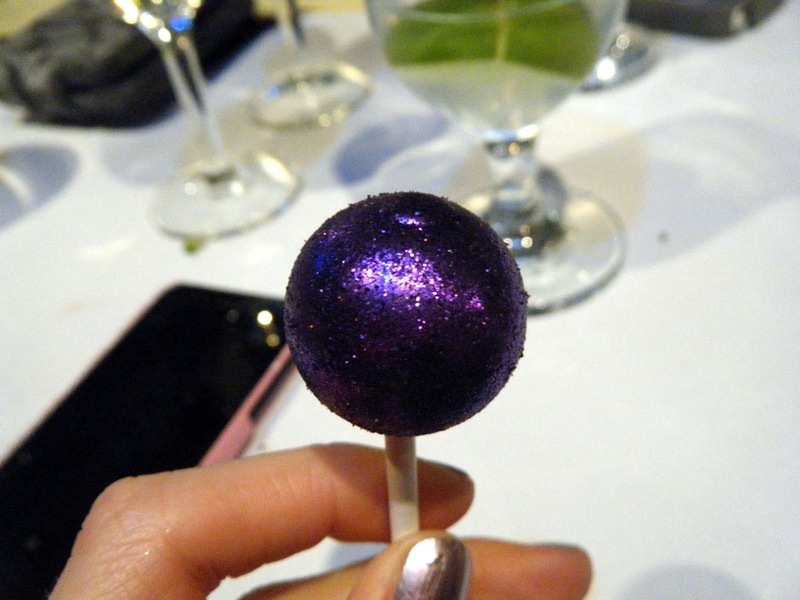 But it was entirely edible – in fact, it tasted like a Lindt milk chocolate truffle. 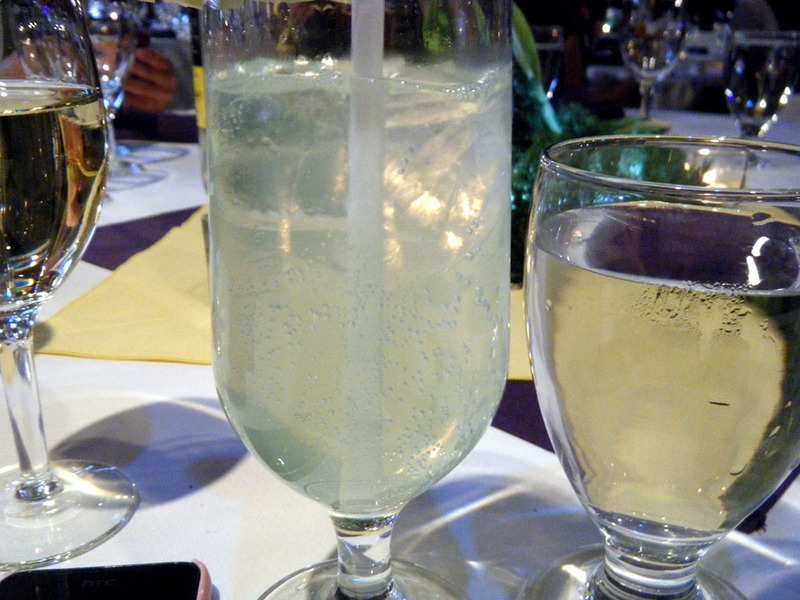 I had a couple of these throughout the night, despite the fact that they left me covered in sparkles. 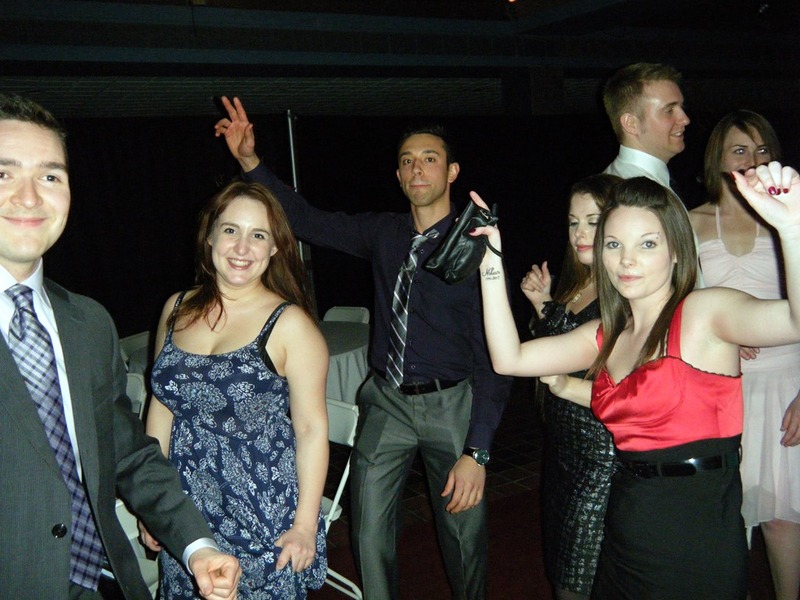 After chatting for a bit, the dance floor opened up. And that was literally the last two hours of the evening: dancing for a while, getting tired and sitting down for a few minutes, and then getting back up to dance again. Thanks again to my beautiful date! Definitely a great way to celebrate the end of classes. Although, I still have papers to work on. Basically, what my plan is today. <— If you wear colourful or bright shoes, do you try to keep everything else neutral? <— What’s a ‘late night’ for you? If I make it all the way to midnight, I’m usually pretty impressed with myself. 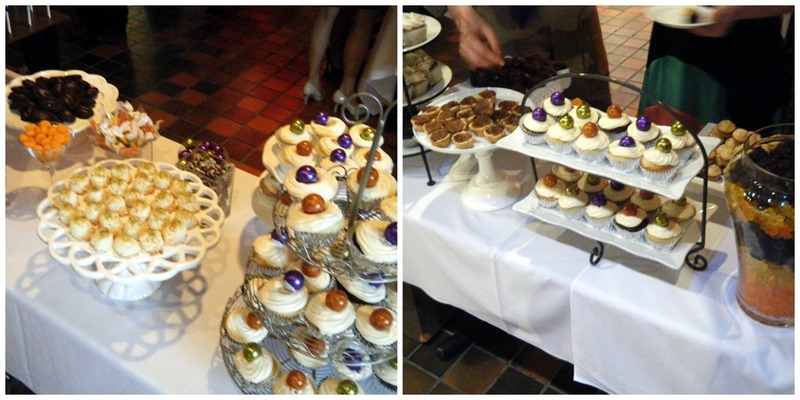 Categories: About Me, Brantford, Breakfast, Date night, Dessert, Dinner, MIMM, Nights on the Town, Recap, School | Tags: appetizers, banquet, blue dress, Breakfast, champagne toast, chicken, dancing, dessert, dinner, limo ride, Marvelous in my Monday, MIMM, mint macaroon, not paleo, paleo pancake, party, shoes, short bus limo, Tom Collins | Permalink.